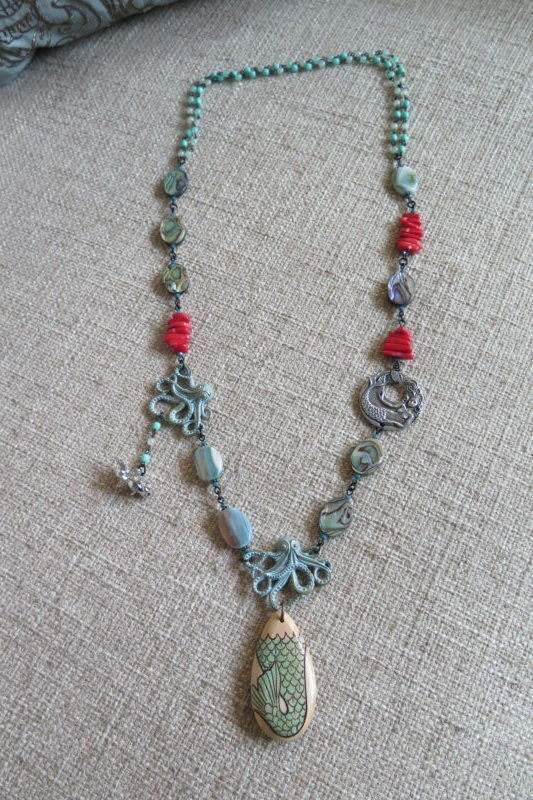 Mermaid Hide & Seek Necklace was designed by Michelle McEnroe of McEnroeMoments using a mermaid tail wood pendant by SummerArtWind as the focal, and a mermaid pewter connector and a fish charm by Green Girl Studios. 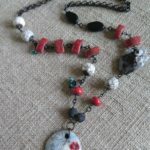 Supporting the artist beads are abalone oval beads, blue haze oval beads, verdigris patina octopi charms, and red coral chips. 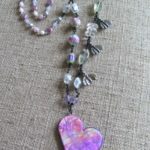 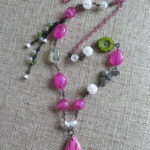 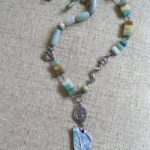 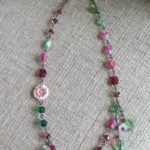 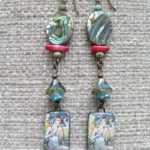 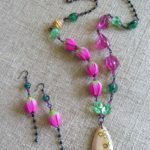 Michelle's jewelry can be found on Etsy at http://www.etsy.com/shop/McEnroeMoments and Beadwork Magazine. 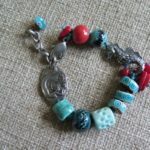 Gorgeous piece! 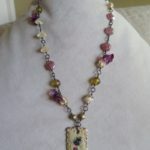 Love all of the fun elements.